Hello everyone, I am Asher Milgrom, the CEO and Chief Scientist of AMA Regenerative Medicine & Skincare. My specialty is biomedical sciences and we specialize here in Integrative Medicine and Regenerative Medicine. 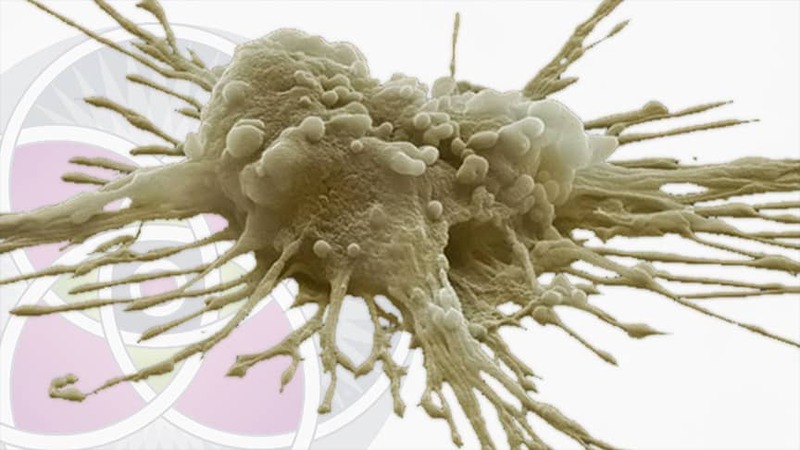 We are privileged to be doing all sorts of very interesting stem cell research and also treating patients with stem cells and that’s the subject of this talk, what are stem cells and why are stem cells important. 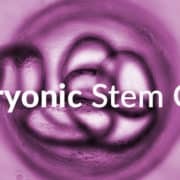 I intend to condense a lot of very sophisticated science into very simple language, to give you an overview of stem cells; what are stem cells, what do stem cells do, where do stem cells come from, why are stem cells important to us and how we use stem cells to give people much better and healthier lives. So we’re starting with this slide, which is obviously a slide from the Hubble telescope of a cosmic event. This is a cosmic nebula which really represents the creation of the universe. If you look in there with the special telescopes, you can see all the way back to the beginning, the Big Bang, when the universe was created. I’m starting with that because the power of creation cosmically, is also present in that stem cell and is why stem cells are important. The power of creation of our own physiology, of our own health, our vitality, is all imbued inherent in those stem cells. In fact, many people call the stem cell, “The God Cell” and here it is. That’s the mesenchymal stem cell right there. We’ll talk much more in detail about it later but in the meantime, know that you can go to YouTube and find a movie called The God Cells, which is a very graphic presentation of all the research on stem cells being done these days. Very exciting movie, kind of like a documentary, I suggest that you go take a look at it. Now this presentation about what are stem cells and why stem cells are important is going to be kind of formatted like a conversation, so it’s very casual and there’ll be pop ups along the way and we will continuously evolve this too, so the fact that you’ve seen it once, you may want to go back a couple months later and look at it again because we’re constantly modifying it and making it better and more relevant. This picture is a depiction of the many different ways that science, ancient science and modern science looks at human physiology. Whether you are of a spiritual nature or not, there’s no question that human physiology is filled with mystery, miracles and magic. It’s magical what goes on in us and deeply, deeply mysterious. We barely understand it. We’re just scratching the surface of our understanding of the unfathomable complexity of human physiology. For those who do have a kind of a spiritual bend to it there’s no question that human physiology is a microcosm of the greater cosmos and all its complexity. There is no question for those who see the complexity and the miracle of it, the mystery of it, that it’s kind of like touching the mind of God and hopefully throughout this lecture and therefore, thereon, you will have a different experience with your own physiology. You are walking around within this incredible dynamic multi-dimensional kaleidoscope of extraordinary intelligence that created us. The best way to start a conversation about what are stem cells is to ask the very simple question; what is health? In Western modern medicine that we’re all familiar with, in Europe and in the United States, the industry of medicine is really focused on disease. It really isn’t focused on health. In fact, it doesn’t even really define it, let alone find ways to augment it or to accelerate it or to promote it. Well it so happens that stem cells deal both with disease and with giving us optimal health. That is why stem cells are so important for our health. The best definition of health is in fact, tissue turnover. When we are young, and our bodies are filled with stem cells by the way, we have amazing regenerative capacity. We’re constantly turning over all of our tissues. Cells are designed to work at peak efficiency until they cannot and then they are designed to die. It’s called programmed death or cell death or otherwise known as apoptosis and those cells that are now dysfunctional and dying are replaced with healthy new young nascent baby cells with their whole life ahead of them. Again, this is cellular turnover. 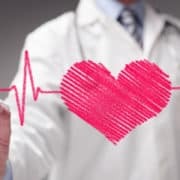 When you were a kid, you had a new liver every few months, all of your organs were completely replaced every few months and as we age that process of cellular and tissue turnover slows down. So why are stem cells important? The stem cell is in fact, the engine of that regeneration. It’s the stem cell that has the ability to replace those dying cells with new cells. And in fact, every organ in your body is filled with stem cells that have become the cells in charge of regenerating that organ. In the liver, there are liver stem cells that regenerate new liver cells and in your kidneys and in your vasculature, etc. All over your body there are stems cells specializing in different organs. Here is again, that same picture of the stem cell. I wanted you to look at it again more carefully. This is a mesenchymal stem cell that’s extracted out of umbilical cords. You’ll see that the cell has little bumps on it. Those little bubbles all over the surface. These are vesicles and those vesicles are filled with all sorts of signaling molecules, cytokines and things like that that play a very important role in what the stem cells can do for us and how they function in our bodies. Hold this image in your mind and we’re going to get back to it. Now, why are stem cells imporatnt, what is the promise of regenerative medicine? 1) Cure Disease: There are many diseases that afflict our population that modern medicine doesn’t cure. It just manages, for instance diabetes; you don’t cure diabetes you manage it, you manage it with insulin. There are many, many diseases like that that modern medicine cannot cure. Hopefully you can slow it down and simply manage it. Well, regenerative medicine has a different perspective. 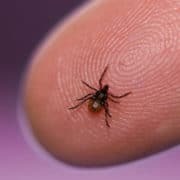 That diseases, even those that are end diseases and they just terminate with death, that those diseases should be able to be stopped and reversed. Regenerative medicine and stem cells play an important role in that. 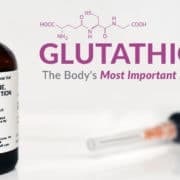 2) Optimal Health: That thing, which modern medicine doesn’t deal with, our health, defining it, augmenting it, promoting it, accelerating it, regenerative medicine does exactly that. Instead of just managing tissue that isn’t working, let’s say your pancreas, if you have diabetes how about replacing the damaged tissue or the dysfunctional tissue with new healthy young tissue that does function well? Then the disease would simply go away and you would be restored to optimal health. That is what regenerative medicine is about. 3) Longevity: If you could keep your organs young, you could live a lot longer. It is really that simple. The kind of motto that we play with here, maybe I should trade mark it, is that regenerative medicine “adds years to your life and life to your years”, we kind of like that and that really is what we do with regenerative medicine. What are stem cells? Why are stem cells important? Here we have a slide of a stem cell. Two critical characteristics define what a stem cell is. It is in fact, what we call an immortal cell, it hangs around for a long time and while it’s hanging around it has two things that it can do. It can differentiate. Which means it can turn into an organ cell. An adult differentiated organ cell is also known as a somatic cell. If we have a stem cell of the liver and the liver needs a new cell, that stem cell in there is going to pop out into two. One of them is going to be a duplicate of the original and the other one’s going to be that new liver cell that the body or the liver needs. Now, while we’re discussing the two characteristic of stem cells, it’s a good place to say how they are different from our normal organ cells. Why are stem cells important? The primary difference is that normal organ cells, let’s take the liver again for example; they can duplicate but they’re very limited in how many generations of duplications they can do and that’s a subject for another lecture. The other thing is that, this fully mature organ cell does not have the ability to stay alive forever, it has that programed death that we spoke of earlier. So limited ability to duplicate and it is going to die after it ceases to be able to function at peak efficiency. Here is the history of where stem cells come from in our development and where they end up going. So when we are in fact an embryo, we’re pretty much all one big collection of stem cells. You have an egg and the sperm, they are both in fact very powerful stem cells because they are going to become everything you are. They come together and they fertilize and that one big cell becomes two, becomes four, becomes eight. Those are very powerful stem cells that are in fact, going to evolve into, mature into, transform into every different type of cell in your body. 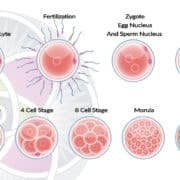 Through that process, you see it ends up at the blastocyst and this is an important distinction here because, the blastocyst cells now differentiate into two different types. The pink ones around the outside and the blue ones on the inside. The pink ones are the cells that will not become the baby in the human being. They become all of the embryonic tissue that you need to support the developing fetus. This is the placenta and the umbilical cord. Whereas the blue cells in the middle; those cells are the ones that are going to evolve into, transform into all the different cells that are you, and all the different organs. Here is a larger picture of it, the cells on the outside that become the cord and the placenta and the blue cells in the inside. We call them pluripotent or totipotent and they have the potential of becoming anything. Why are stem cells important? Every cell in your body come from those cells. Here’s the hierarchy of how those cells develop, so you start with that blue cell on the top right, the totipotent or pluripotent cell and it’s going to differentiate into different cell lines that become the different organ systems. So on the left, we have those that become all the blood cells and those are not just the red blood cells but also all the immune cells that are floating around your body. Then on the right side, we have the cell lines that will become the various organs; the muscles and the nerves and the bones and all the other tissues that make up your body. The organ cells again, another name for them are somatic cells. Here we have a diagram that is depicting the fact that all the organs in your body have those flashing stars in them and those flashing stars are a small percentage of that organ that are in fact stem cells. 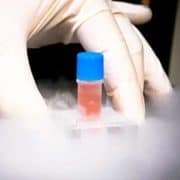 The stem cells of that organ are in charge of regenerating that organ and replacing the cells that are no longer functioning at peak efficiency and in fact are programmed to die and be replaced.